Which are the biggest considerations in web designing? Are some of the challenges hampering you and make you feel that there should be at least some processes that could be conveniently carried out in a web design project? Accessibility: The website needs to be completely ready for every segment of your targeted audience. You need to ensure that the design resonates with the audience regardless of their age, gender, location, or any other demographics. Responsive: The design and content should be served on multiple screens and platforms. User Experience: Your users should find the whole experience on your website friendly with relevant information, robust architecture, and a good navigation. Speed: The slow processing of web pages disturbs the users and compels them to move away from your site and get information from other website. Retention: It is high time designers started taking retention of visitors on the top of their list. Just as a good content is vital for retaining the visitors, a good user experience will help you win the trust of your visitors and will increase the rate of repeated visitors to your website. In addition to having a skilled developer and marketer, who understands the needs of various businesses it is essential to have a robust platform that is built with user experience and personalization at its core. At WebbyMonks we strongly support and recommend the HubSpot content optimization/management system (COS/CMS) website designing platform as it is built to overcome the above given challenges. 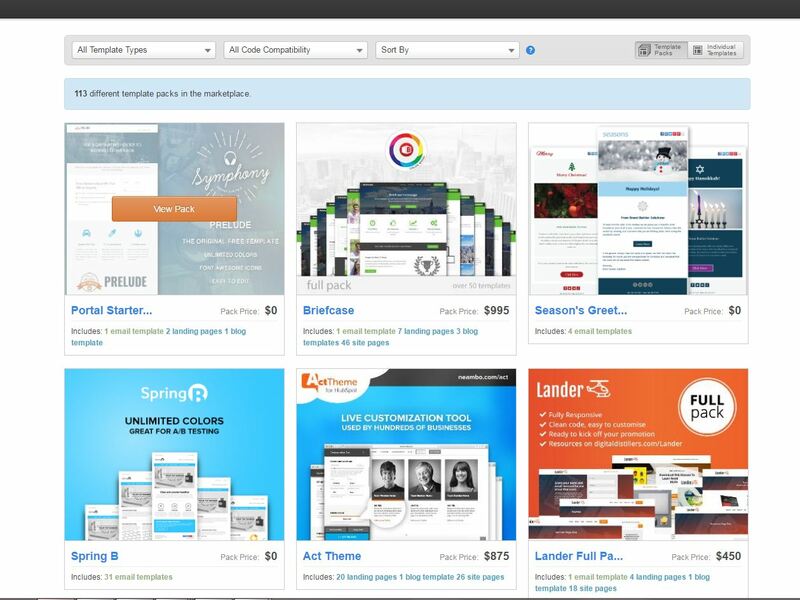 Websites that are built with HubSpot COS/CMS are optimized for search and mobile. Thus, all the challenges that we have discussed are by default sorted out when you get the final product. In this article, we will see some of the most prominent tools inside the HubSpot system that could simplify site design. The Hubspot marketplace finds its place first on this list. It offers a collection of website templates that, once downloaded, could be easily integrated with the HubSpot COS/CMS account. You could use it immediately after purchase from the Hubspot account. There are no HTML/CSS skills required. You could create the content directly on the page with the help of the inline editor. You could easily drag-and-drop the elements in and out of the page to customize the page. These intuitive editors give you the real (WYSIWYG) experience. You get various options to edit the content, publish the changes and modify settings. With the Hubspot COS/CMS website builder, you are able to generate new layouts and page structures that could be simply used to drag-and-drop template builder. This template builder allows you to easily add forms, calls-to-action, social media buttons, and more without any knowledge of coding. You could either use a downloaded template from the tons of templates provided by Hubspot or even create a new template and modify it with the help of pre-defined modules. Hubspot’s content optimization/management system (COS/CMS) will help you deliver content that is customized for the individual needs of the customers. Depending on the characteristics of the viewer, Smart Content will change the text, forms, and CTAs. You could create customized messages for people based on their lifecycle stage. Smart Content understands the context of the user on their arrival on your website and presents the content that is relevant to them. Below are the categories that you could utilize to create smart content. When you have visitors at different stages of the lifecycle in the conversion funnel, such as subscriber, customer, leads, brand advocates, you could ensure that they see relevant messages based on their journey on the website. You could select the contacts out of your segmented list and decide which content they should see. This particular step is different from creating Smart Content for the lifecycle stage. Here you will only dedicate various pieces of content for the lists that you have segmented based on various characteristics. Businesses may want to target their messages based on the region or the language of the targeted prospects and will create content for the same. With the Smart Content feature of Hubspot Website Builder, you will be able to dedicate various pieces of content to the prospects of a specific region or the language that they speak. Is your content long enough to educate your prospects on their desktop screens, and short enough so that they could consume it on their mobile phones. 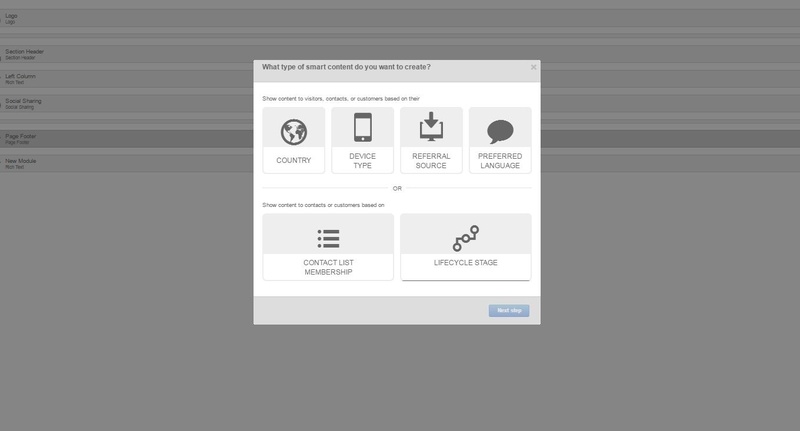 With the help of the Smart Content feature, you are able to leverage the “Device Type” feature so that you could generate content to engage the users based on the device that they might be using. Are you promoting the business on multiple channels? Your marketing initiatives might consist of the mix of social media, search engines, PPC, email marketing and more. You could tailor the website content based on the source of the arrival of the users on your website. Live preview is something that will prove to be a web developer’s delight. You could easily toggle between the “Layout” and the “Preview” option to get instant preview of your customization. This feature allows developer to check on potential errors or modifications for particular sections. 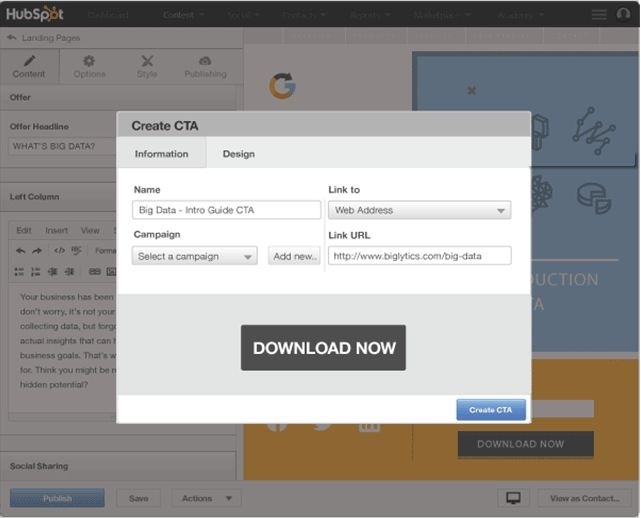 The CTA tool is integrated with the website designer tool. With the help of this tool, you could add CTAs at appropriate places on your site pages. The CTA could either be simple buttons or images, or you could even build them on the basis of the life-cycle stage of the visitor. Building a website is at the heart of your online marketing efforts. However, when it comes to quick and efficient website building with lots of added value, Hubspot COS scores the extra brownie points. The advanced technology backed up by the principles of inbound marketing ensures that you have a holistic approach towards website building.